(CNN) -- Islamist fighters in Somalia have made significant gains in the country, according to the latest statement purportedly from al Qaeda's second-in-command, Ayman al-Zawahiri. The 25-minute audio recording, titled "From Kabul to Mogadishu," focuses primarily on the "important developments" in Somalia, which al-Zawahiri called "a step on the path of victory of Islam." CNN cannot authenticate the message, which was released on Sunday and was interspersed with television news reports and statements from various al Qaeda-linked commanders. CNN analysts who listened to the recording say the voice is consistent with his intonation and accent. This is the third message from al-Zawahiri espousing the views of the al Qaeda terror network in 2009; the other two focused on Israel's recent military operation against Hamas leaders in Gaza. 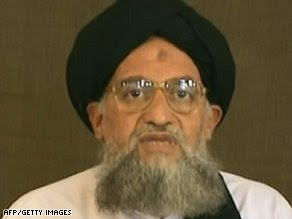 In addition to Somalia, al-Zawahiri also addresses the situations in Yemen, Gaza, and Afghanistan and Pakistan. Al-Zawahiri praised Al-Shabaab fighters in Somalia who recently seized control of Baidoa, where the U.N.-backed transitional government had been based. He warned the newly installed government, under President Sheikh Sharif Sheikh Ahmed, not to squander those gains by submitting "to American demands" and not abiding by sharia, or Islamic law. "I call on my Muslim brothers in beloved Somalia ... to not be deceived by those who agree to the secularist constitutions which vie with the sharia in its right to rule," he said. Al-Zawahiri also addressed the "awakening" in Yemen, where many suspected al Qaeda militants wanted in neighboring Saudi Arabia are believed to have fled. That group includes several former detainees of the U.S. military detention facility in Guantanamo Bay, Cuba. The al Qaeda leader accused Yemeni President Ali Abdullah Salih and his government of being "servants and slaves" to the United States by allowing Yemen to be used as "a supply center ... against Muslim countries." "How can you agree to let the ruling authority in Yemen be the CIA?" al-Zawahiri asked the people of Yemen. Al-Zawahiri spent the last eight minutes addressing the situation in Afghanistan, Pakistan and Gaza. His focus on Somalia and Yemen -- which accounted for more than 17 minutes of the 25-minute address -- is a departure from the topics of his previous messages. CNN terrorism analyst Peter Bergen suggested that is a reflection of al Qaeda's recent losses as a result of U.S. missile strikes along the Afghanistan-Pakistan border. "There were three in 2007 and 34 in 2008 by my count," Bergen said. "These strikes are causing al Qaeda leaders to consider their options." Al Qaeda has considered relocating its base to Somalia or Yemen, according to a former U.S. official who is familiar with the intelligence. 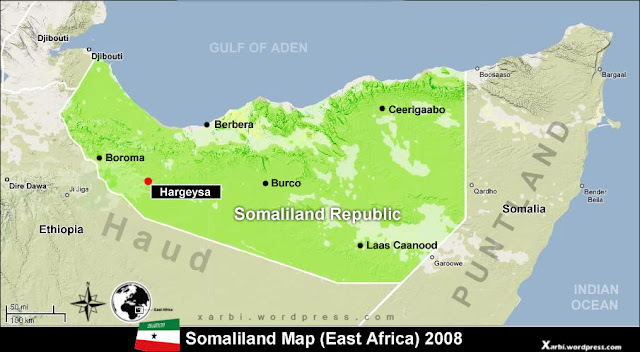 Other analysts have suggested that it would be difficult for al Qaeda to gain a stronghold in Somalia because its radical agenda is unpopular in the moderate Islamic country. John Prendergast, who studies the Horn of Africa for the Center for American Progress think tank, said he expects Al-Shabaab's overseas ties to dry up after the recent withdrawal of Ethiopian forces, which was its only basis of support in Somalia. J. Anthony Holmes, director of the Africa program for the Council on Foreign Relations, said it is unlikely Somalia will emerge as "a breeding ground for terrorism" because of its clan-based society. But Bergen noted that both Somalia and Yemen lack a strong central government and "therefore (are) attractive locations for al Qaeda." "Al Qaeda also has had an on-and-off presence in Somalia since 1992 and even earlier in Yemen," he said. "As we have seen also, Yemen's weak government and permissive attitude to jihadists have made it an increasingly attractive venue for Saudi members of al Qaeda." Bergen said that is most likely why al-Zawahiri chose to focus more than half of his latest message on Yemen and Somalia.